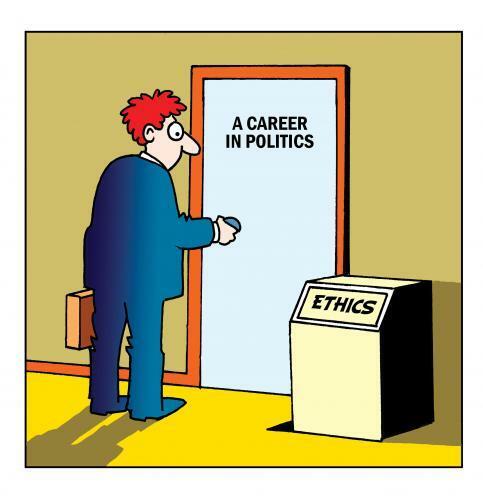 Ethics in government and public service is forever shifting and under scrutiny. There seem to be a constant stream of discrepancies in the public sector where many actions are not illegal or breaking any laws. However, the challenge to our democratic system and tradition of public service is that any unethical action, no matter how minute, will cast a shadow on our societal norms and how we are able to conduct business in the public sector. Not to say the private sector is without blame. At times it appears that both sectors s maybe jockeying toward which one could produce the greatest zinger to shock us all. Ethical behavior is scrutinized so much by the public because it affects us in every area that we exist in our American democracy. From a historical perspective, by far the most notorious figure in American public service was William M. Tweed of the Tammany Hall fame. At the height of his political power, he was known as Boss Tweed. Born on the Lower East Side of Manhattan, Tweed apprenticed as a chair maker in his father’s shop. As a young man, he was very community oriented and volunteered with the local fire company when private fire companies were important neighborhood organizations. Tweed later on gave up the chair business and devoted all his time to politics, working his way up in the Tammany organization made up of many newly arrived immigrants. Tweed eventually became the Grand Don of Tammany and wielded immense influence over the administration and public works of Metropolitan New York City. Tweed and his “ringleaders” demanded payoffs from contractors who did business with the city where they made sizable profits. The Tweed Ring was so brazen that it invited its own downfall through its hubristic “quid pro quo” actions. Tweed was eventually prosecuted and spent the rest of his life in prison. However, the well-oiled Tammany organization continued, and its political influence endured for many decades. In local government, especially at the state level, the alarm bells keeping ringing to call attention to the political activities and soft money of interest groups. Technically, interests group engage in related but distinct activities such as lobbying, litigation and election campaigning. These groups are intended to advocate issues beneficial to the good of the public. However, there are many varieties of interest groups who are willing to bend the rules as they see fit to benefit solely their particular needs and agendas. According to Karen O’Connor, Larry J. Sabato, Stefan D. Haag and Gary A. Keith, Essentials of American and Texas Government, Continuity and Change, during one session of the Texas legislature the workers’ compensation law was up for review. A poultry plant magnate could be seen in the halls of the state capitol giving out checks. Attempting to influence public officials through direct contact is a professional art that is carried out by individuals and interest groups alike. Lobbyists are generally registered with the Texas Ethics Commission who reviews complaints that are construed as unethical. The reason the lobbyist are so important in political organizations is it takes a lot of money to run political campaigns and seek out public service leadership roles. Political money is important in Texas and very few restrictions are placed on its use in political campaigns. This is only possible by the contributions of politically involved interest groups who contribute to these campaigns based on their access to those who occupy legislative roles and are able to meet their needs. This seems to be as gray area as there are many ways around the law that governs campaign financing. For example groups of investors with interests as to where a highway will be built or where a commercial hub will be developed will inadvertently purchase property at an inflated price, especially the property of a vying political candidate. They do this in hopes that he or she will have the finances to operate a successful campaign and live independently without taking any gifts or accepting favors that may sound the alarm as being unethical. Ethics has historical significance with lessons for us to learn from. However on certain occasions hubris takes over and dulls our sense of reasoning. As we embark on the 84th meeting of the Texas legislature, the newly elected Lt. Governor has plans to disband the Ethics Commission. While public administrators should be emboldened to conform to ethical standards, they are now getting a helping hand from an important elected official. Sound ethical norms are a societal discipline and the pinnacle from which we experience ongoing economic activity, growth and development toward sustainability. In the public sector good ethical standards should be the guiding light to lead us through important areas of public administration where we can reflect on the good of our society and obligation to serve the people. Author: Horace A. Blake is a three-term city commissioner with 23 years combined community action experience at municipal and state level. He currently serves on the stormwater management team, working with the city and the community in water management, education and sustainable related issues. Blake is also the current treasurer of ASPA’s Section on Public Law and Administration. He can be reached at [email protected].